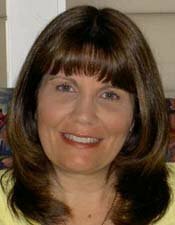 Valerie Bendt is the author of four books on homeschool unit studies. Here's a transcript of my interview with Valerie, in which she discusses the benefits of homeschooling unit studies and shares tips for finding the unit study that's right for you. My children's ages are as follows in 2009: Michelle is 30, Melissa is 28, Robert is 26, Raymond is 24, Mandy is 20, and Randall is 15. My children were homeschooled until graduation. During their high school years, all three boys participated in the dual enrollment program at our local community college. Michelle and her husband have three boys, and they own a Café-Bakery. Michelle is a cake artist, and she won first place in a national cake decorating competition that was held in Las Vegas in 2003. Melissa has been teaching English in South Korea for more than two years. She has a Bachelor's Degree in English from the University of Tampa and Master's Degree in English from Kent University in Canterbury, England. Robert has been in the United States Marine Corps for almost 7 years. He is an Arabic linguist. He plans to complete his Bachelor's Degree in Middle Eastern Studies. Raymond recently graduated from Florida State University with a Bachelor's of Science Degree in Civil Engineering. Mandy is married and expecting her first child. She is working on her Bachelor's Degree in History. Randall is in his third semester as a dual-enrolled student at our local community college. He plans to major in Computer Engineering. Why did you decide to home school your children? My husband and I want our children to learn in an environment that honors our Heavenly Father - not in an environment that denies His existence. We also believe that we can provide a better education for our children at home - an education that preserves and nurtures their individuality and creativity. They are simply studies that focus on one topic at a time. As this topic is examined, a variety of subject areas are explored. A unit study is what each person makes it. It can be a brief topical study or a life-long quest. How did you become interested in this method of homeschooling? We were frustrated with the workbook/textbook mode of instruction. We began searching for a learning method that encouraged creativity, higher level thinking skills, and cooperative learning. What do you like about homeschool unit studies? With unit studies, the entire family can study a topic together. Furthermore, they can be tailored to meet the needs and desires of individual families. Unit studies broaden our horizons. The integration of multiple subjects into one topic allows us to make vital connections. What are the benefits of unit studies over other homeschooling methods? They encourage creativity, higher level thinking skills, research skills, and cooperative learning. Unit studies encourage a student to delve deeply into a topic, whereas many other curricular methods merely provide an overview of a topic. Students are often "handed" the material which has already been digested by someone else. This inhibits a student's natural sense of wonder. Are there any disadvantages to using unit studies? At the high school level, an exclusive unit study approach might not provide a student with the necessary credits required by most states for graduation. At this point a combination of textbook studies and unit studies would prove useful. What type of families/students enjoy this method of homeschooling? Families who enjoy projects and learning together tend to enjoy using a unit study approach. These families are usually confident that they are providing their children with a quality education. What type of families/students tend to dislike this way of homeschooling? Families who are worried about education standards and achievement test scores may shy away from homeschool unit studies because they fear their children will be academically deficient. These families find comfort in completing a textbook or workbook. They feel they have sufficiently covered the required material. Unit studies are more open ended. How do families who use homeschool unit studies teach upper level math, science, language arts and writing? Although basic skills are enhanced in a meaningful way through unit studies, concentrated work in these skills areas is often needed to attain mastery. Phonics and math are sequential and require individual attention. Language and writing skills can be taught and then applied in the unit study setting. For example, I suggest doing "skills units" throughout the year to sharpen basic skills. My children used a math curriculum/textbook in addition to the unit studies we conducted. I also used a phonics program with my beginning/early readers. Through the years we used various writing programs to develop writing skills. These skills were then developed as the children wrote about topics related to our studies. How do families who use a homeschool unit study approach prevent leaving gaps in their children's education? Many families use workbooks or textbooks in addition to conducting homeschool unit studies. Textbooks can be a springboard for unit studies. Some families use a scope and sequence such as Robin Sampson's book What Your Child Needs to Know When. Another useful book is Teaching Children by Diane Lopez. Some states provide a scope and sequence online at their department of education websites. Can the unit study method provide an adequate education in the high school years? With proper planning, the unit study method can be an integral part of an excellent high school program; however, I found textbooks to be a useful companion. In my opinion, it would be difficult to use the unit study method exclusively to complete all the requirements for high school graduation. This is especially true for college-bound students. What is the best way to introduce homeschool unit studies into an existing homeschool program? The best way to integrate unit studies into an existing homeschool program is to choose topics from either the student's language arts, social studies, or science curriculum and build a unit around those topics. In other words, use the student's textbook as a springboard for a unit study. Once the study is complete the student can return to the regular textbook material. In this way, units can be sprinkled in throughout the year to enhance the textbook approach. Developing a unit study from each applicable textbook in a given year would prove educationally advantageous. How should parents go about choosing unit study programs for their children? As mentioned above, textbooks can be a springboard for unit studies. Also, children and parents can brainstorm topics together. If parents choose a prepared unit study curriculum, they should look for materials that are consistent with their educational philosophy. Some programs are activity based while others focus more on reading. Some have a Christian world view while others take a secular approach. The important thing for parents to remember when choosing a prepared curriculum is that they are free to make adjustments and changes as the need arises. Curriculum is our servant, not our task master. 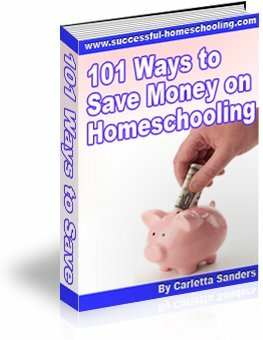 What tips do you have for parents who want to create their own homeschool unit studies? First, read my book! (Just kidding, of course. )The key is to remember to have fun with your children. We all learn best when we enjoy the journey. Pick a topic that will allow the entire family to participate in the study. Choose a topic that naturally inspires wonder. When preparing for a unit of study, I always try to find at least one biography of an individual that somehow relates to our topic of study. As we study real people in real space and time, history comes alive. History is the interacting of individuals with individuals, and biographies allow us to traverse in another person's footsteps. Next try to locate materials that relate to your study that offer insights from multiple perspectives. In other words, how do art, music, science, history, language arts and so on relate to the topic of study? What activities can you do that will make the study relative to your family? Choose an interesting book related to your topic for Dad to read aloud from each evening. This allows him to be included in the unit study. It also acts as a catalyst for discussion about the material the children have investigated earlier in the day. What is your advice to families who feel homeschool unit studies are overwhelming? Try a unit study with one other family. That way you can divide up the teaching and planning. Also, it is fun and academically stimulating to study with others. Decide on a specific time frame for conducting your study - perhaps two or three weeks. Confining your study to a short period of time makes the study seem less intimidating. In other words, a parent may feel, I can handle this if it's only for two weeks! Also, parents do not need to do all of the preparation and planning. Valuable skills are developed as the children learn to research a given topic and plan related activities. When I discovered that I didn't have to do all the planning I felt a huge sense of relief! I realized that the most valuable lessons emerged as the children conducted the research and preparation for a topic of study. It also delighted them to know that their ideas and desires were valued. Relax! If you only complete half of what you set out to do in a day, a week, a month, or a year, then you are doing great! We often set unrealistic expectations for ourselves. Goals are important, but the journey to attain those goals is equally important. Unit Studies Made Easy is a compilation of my four books on homeschool unit studies. This guide provides the nuts and bolts of creating your own unit studies, offers more than 20 sample units, and contains loads of teaching tips. In addition to the book, Unit Studies Made Easy, Valerie has also published Reading Made Easy: A Guide to Teach Your Child to Read, Creating Books with Children, Making the Most of the Preschool Years, Successful Puppet Making, Easy-to-Make Bible Story Puppets, and The Frances Study Guide. For more information about her products, visit www.valeriebendt.com. Here's some additional information about homeschooling unit studies and creating your own homeschool unit study.